A wonderful open floor plan greets you as you enter this home. The oversize kitchen has a large center island, which seats 4 or more. A French Door off the living room leads to a 12 x 12 covered deck. 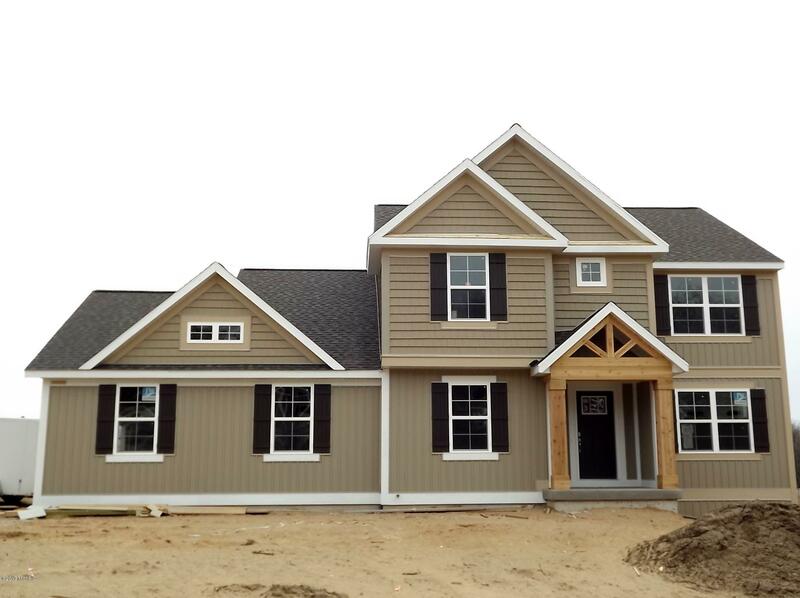 All 4 bedrooms are located upstairs, including the master suite with huge walk-in closet and private bath. The laundry room is also located upstairs. Don't miss the oversized garage, which is 24' x 28'. The unfinished walkout lower level is all set for future expansion! Call Tammy Diebold 616-813-4607.